Green/Natural ingredients: Many, not all. Will I buy it more than once? : Not yet but I definitely will. 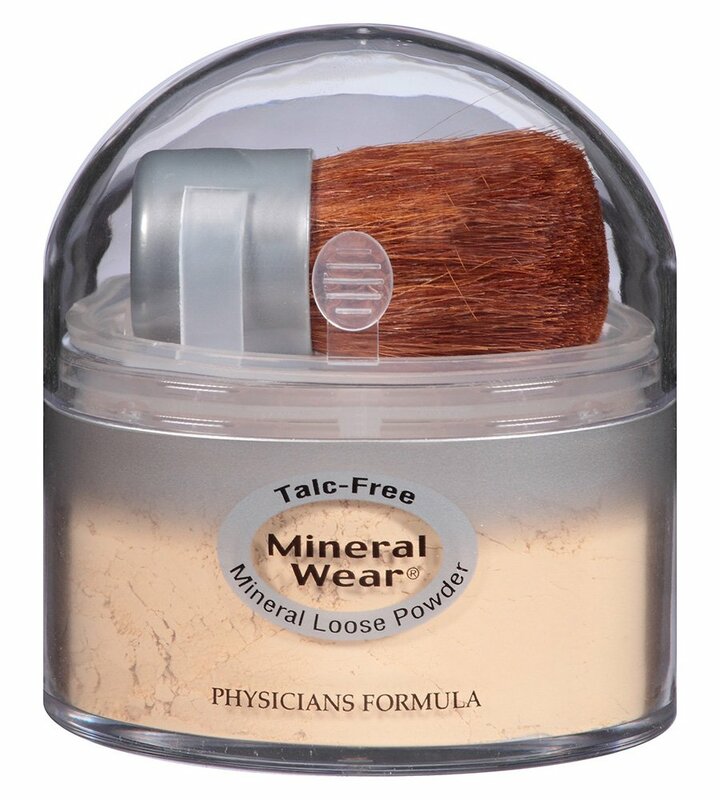 Physicians Formula Talc-Free Mineral Wear Loose Powder is an ultra-fine mineral foundation makeup. It is fragrance-free and paraben-free. It is hypoallergenic, non-comedogenic and dermatologist approved. It is designed to create a “flawless airbrushed finish” and “impeccable coverage.” It is a combination of natural plant extracts, vitamins C and E, antioxidants, and carefully selected gentle non-natural ingredients. Can be used on its own or over makeup. For best results, the application of this powder should follow the use of a moisturizer. *Comes with a powder blending brush. Mica. Boron Nitride. Zinc Stearate. Lauroyl Lysine. Tricaprylin. Magnesium Silicate. Carthamus Tinctorius (Safflower) Seed Oil. Chamomilla Recutita (Matricaria) Flower Extract. Panax Ginseng Root Extract. Ginkgo Biloba Leaf Extract. Camellia Oleifera Leaf Extract. Ascorbyl Palmitate. Tocopheryl Acetate. Retinyl Palmitate. Chlorphenesin. Potassium Sorbate. Sodium Dehydroacetate.